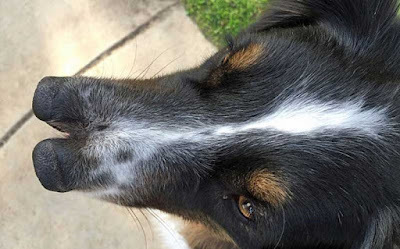 Toby, an Australian shepherd, was born with two noses. Todd Ray, the owner of the Venice Beach Freakshow in Los Angeles, adopted Toby from an animal shelter. Toby had been abandoned by his previous owners. 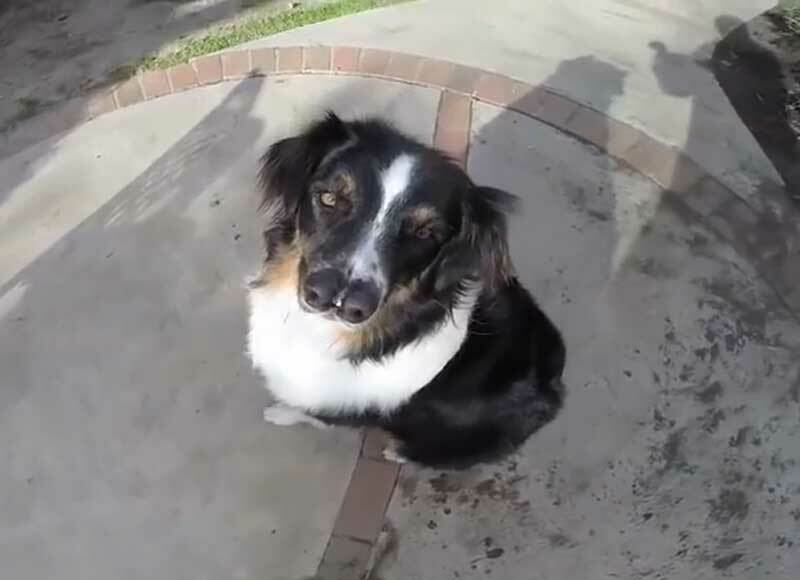 A dog catcher found him roaming the streets of Fresno, California, and took him to a pound. "I heard about him and contacted them and they said it was almost at the end of his time," Ray said. "They were going to put him down. "I'm fascinated by weird animals' beautiful differences and by the magical lessons that they teach us," he said. "The uniqueness of their forms show us that 'normal' doesn't exist. 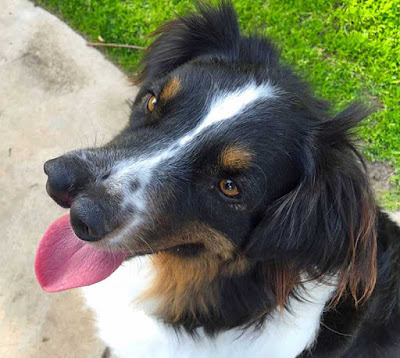 The sad thing is that, at this time, people are at a place where they will let a two-nosed dog get put down before they will adopt him - only because he looks different. "[Having two noses] doesn't bother him at all. As a matter of fact, it appears to come in handy when he is searching for his old chewed up ball." Two-year-old Toby is an affectionate dog who "loves hugs and playing catch" and, despite his unusual appearance, has a very happy life," Ray says. Dog noses are naturally bifurcated, as there's only a single nostril on each side, it looks more like a single snout that failed to coalesce or where the muzzle grew faster than it should have. Stereo sniffing!